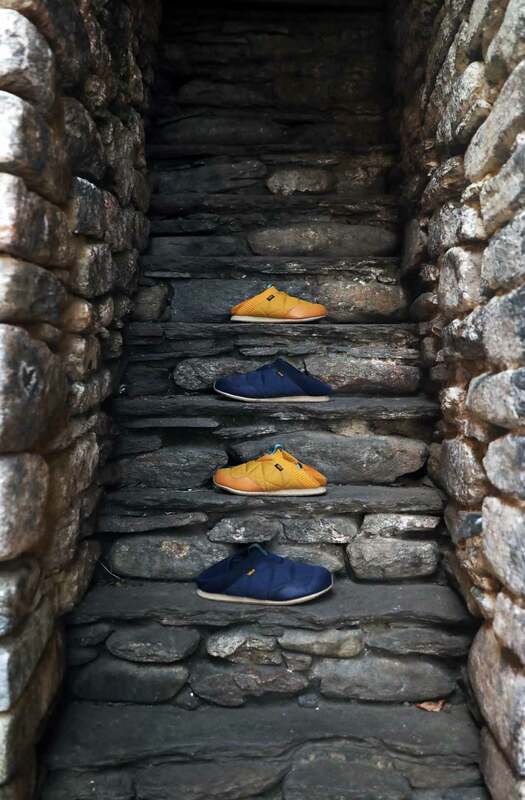 The newest Teva Explorer Collective Members, The Bucket List Family, share their favorite moments from a journey into the heart of Bhutan with the Teva Ember Moc. Photos courtesy of The Bucket List Family. 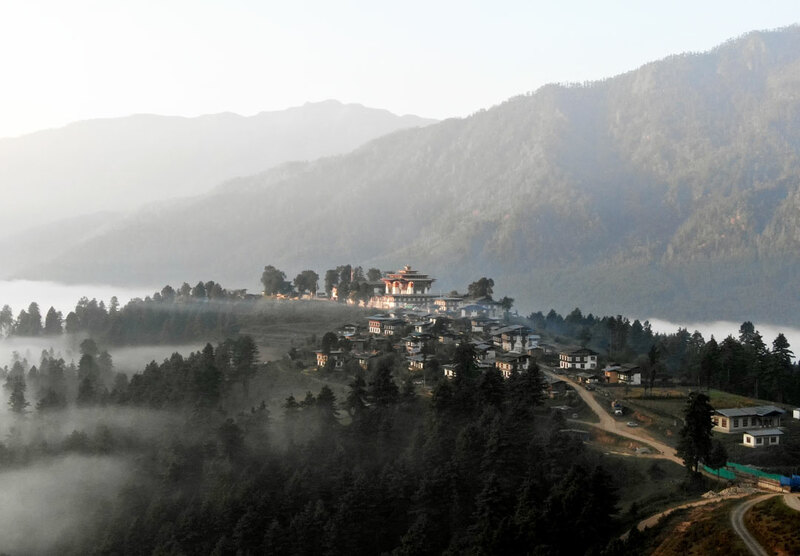 There’s a sense of mystery and magic to Bhutan. Surrounded by the cloud-capped mountains of the Himalayan landscape and dense, lush forests, the city of ancient-looking dzongs and Buddhist monasteries feels as though it’s from another era altogether. But what seems like a kingdom frozen in time is actually the result of the country’s highly regulated and sustainable approach to tourism and development. By law, at least 60 percent of the country must remain forested (right now, Bhutan actually absorbs more carbon than it emits). 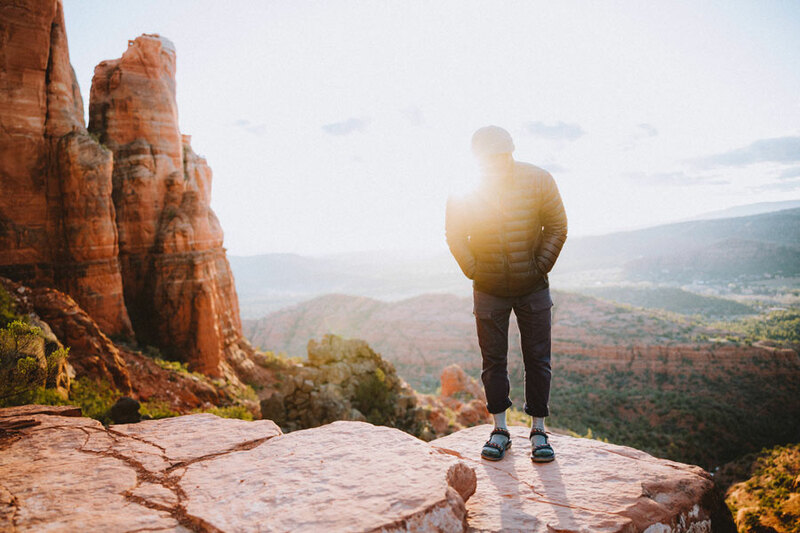 And to help maintain the country’s now-famous dedication to its Gross National Happiness, foreign visitors must pay a minimum tariff of $250 per day to visit (however, accommodation, food, transport and a guide are all typically included in the fee). The Bucket List Family, our newest Teva Explorer Collective members, recently returned from eight days in Bhutan. 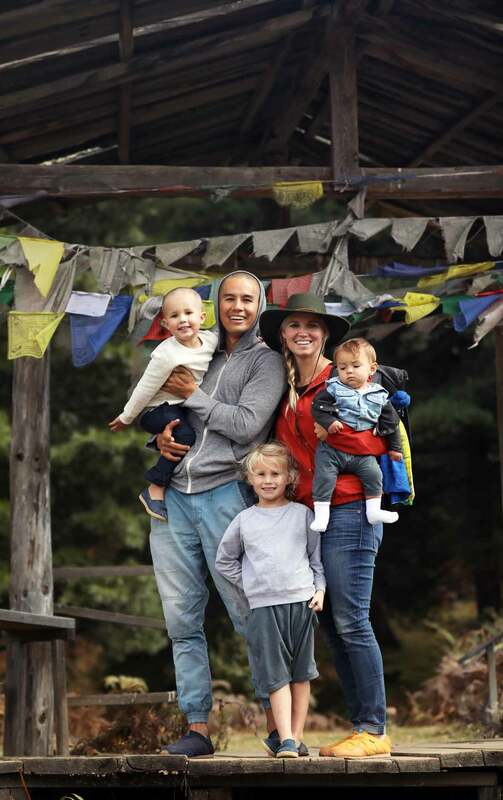 We caught up with Garrett and Jessica Gee to talk about the traditions, foods, and once-in-a-lifetime experiences they found waiting for their family in Bhutan. You’ve traveled to so many places around the globe. What stood out to you about Bhutan? Bhutan has remained very true to its history. All of their buildings are required to have similar construction, paint and upkeep, and the local men and women wear their culture’s traditional dress on a daily basis. Everything from the architecture to the clothing to the traditions practiced there are very true to how things were hundreds of years ago. We’d never been to a country like that before. Jessica wears the Women’s Teva Ember Moc in Amber. Describe some of sights, smells and sounds of Bhutan. There was a very distinct smell to Bhutan, which we later learned can be attributed to the foods the locals eat on a daily basis: dried yak cheese, chilies and butter. You eat these foods with every meal. What’s the most interesting thing you learned from the people of Bhutan? The Bhutanese people really encouraged us to participate in their culture. They invited us to dress like them and learn about their religion, and even taught us how to harvest rice. 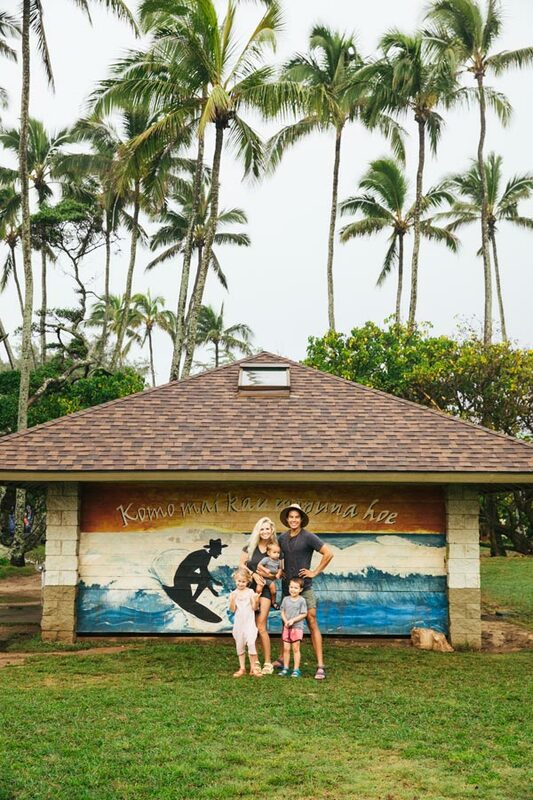 Tell us about one experience you had as a family that you’ll remember forever? We spent most of our time visiting temples and monasteries. One absolute highlight was during a visit to a monastery. We were invited inside to have tea with the monks, watch them in an art class and join them in a music class. It was one of the most special experiences we’ve ever had. To finish the day off, the monks invited Garrett and Manilla to shave their heads, and they did! The Teva Ember Moc is a slide-on, slide-off style made for traveling. 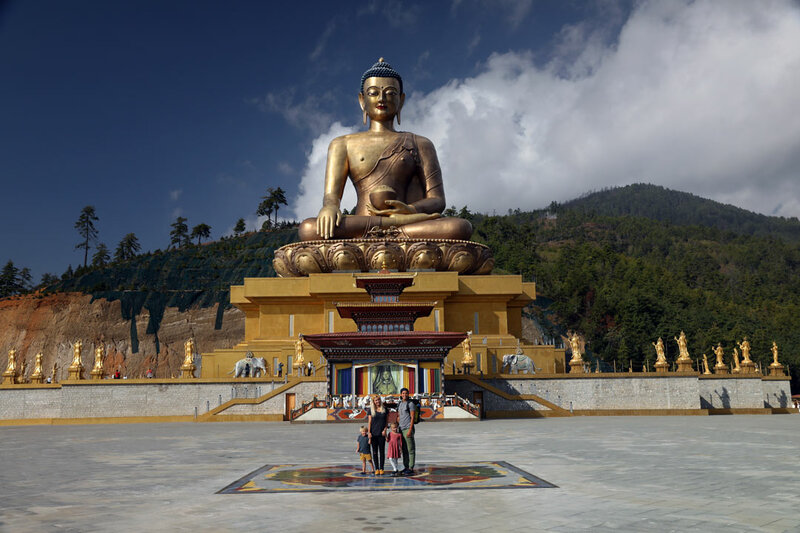 Where are the top three places we should visit if we ever get the chance to visit Bhutan? Try to get out to some of the villages like Bumthang or Gangtey, but don’t miss Tiger’s Nest monastery. We hiked up to Tiger’s Nest with the kiddos one day. It was a four-hour hike there and back and it was not easy. The kids did great (though they did get carried a lot of the way!). The entire building is such a architectural phenomenon and there is so much history and meaning behind the site. What were each of your favorite parts of the trip? 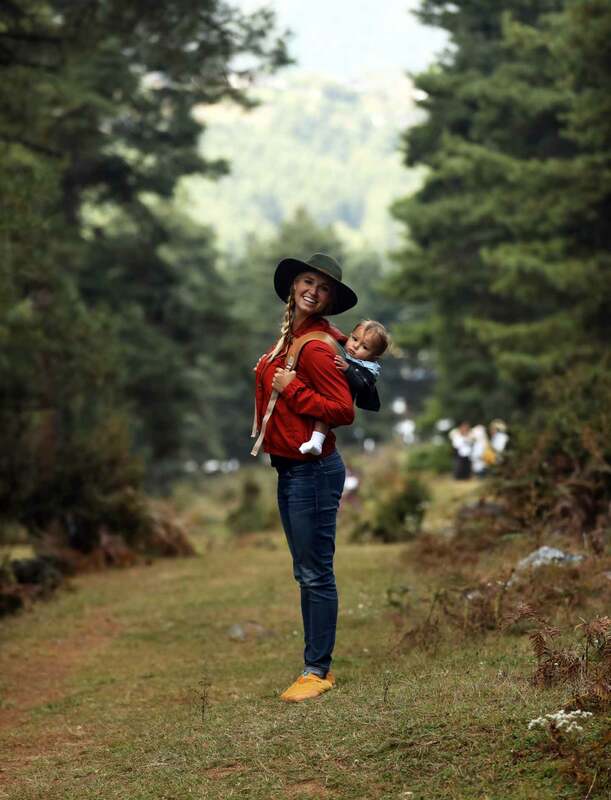 Jessica loved visiting the monastery, Garrett loved Tiger’s Nest, the kids loved making friends with the local children, and Cali loved being anywhere in Mom’s arms. What should we pack for a trip to Bhutan? Pack layers! During the day it was nice and warm but it did get pretty chilly during the evening. We wore the Teva Ember Mocs and they were perfect. 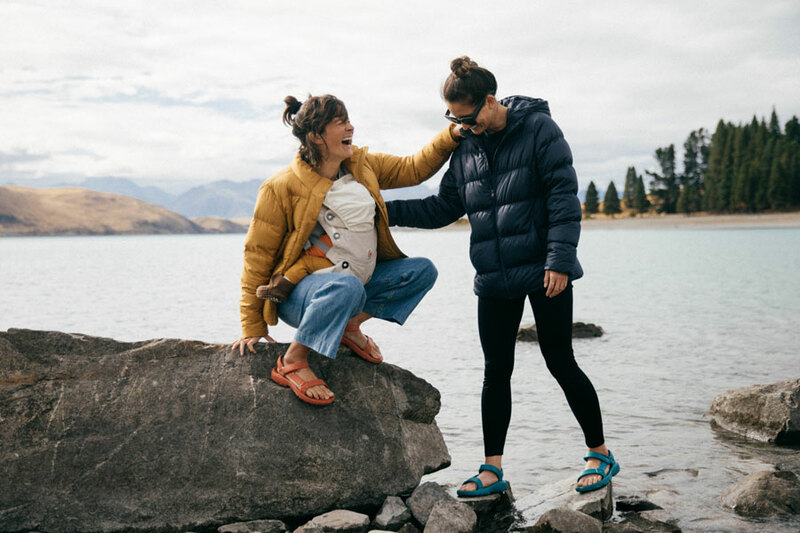 To shop the Ember Moc and other travel-ready styles, visit Teva.com!